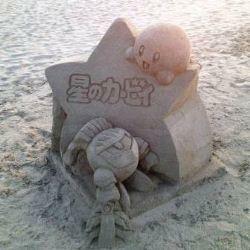 This amazing work of art was found yesterday (July 7 2013) just sitting on a beach in Ishikari, Hokkaido, Japan. Credit goes to Reddit user pelvicpenguin and huge respect goes to the unknown creator. 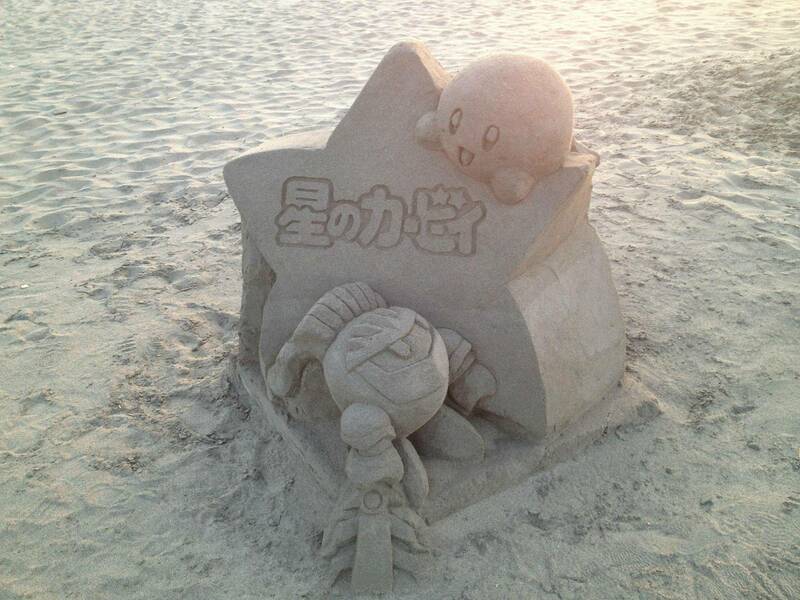 The Japanese writing on the star says “Hoshi No Kabi”, which literally means “Kirby of The Stars”, the Japanese name for the series that featured both characters.